Attendees will receive instruction in the critical elements of photography as they relate to forensic investigations. This program emphasizes best practices to accurately capture digital images which will be used for comparative or analytical purposes such as crime scene investigation and accident reconstruction. This intensive, hands-on program reinforces the theory covered in the Forensic Photography program. Attendees will use their own equipment to capture images under various conditions including “low light” scenes. They will gain knowledge in the use of alternative lighting techniques to find and photograph evidence which would otherwise be difficult or impossible to see. The instructor will demonstrate how to document various scenes and specific types of evidence. Attendees will then demonstrate proficiency in similar types of scenes while receiving instructor feedback. Upon completion of this class, attendees will be able to accurately record digital images of various types of evidence and scenes. This includes impression evidence such as tool marks, bite marks, footwear and tire marks. 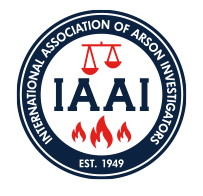 Best practices are demonstrated to ensure investigators are able to accurately document problematic scenes such as collisions, fire scenes, and low light scenes. Maintaining the integrity of the digital media is emphasized throughout the class. This class is not appropriate for Point and Shoot cameras, as they have limited functionality. Participants should bring and have a good working knowledge of a DSLR camera.